The chairman and president of Rancho Obi-Wan, Steve Sansweet, was born on this day back in 1945. 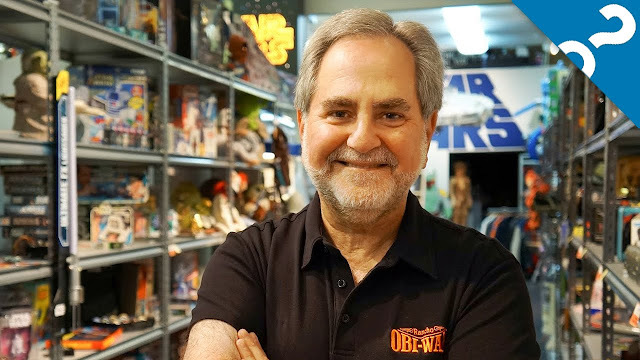 The Star Wars museum was originally created in 1998 and contains the world's largest privately owned Star Wars collection which was amassed for over 37 years by Steve Sansweet. 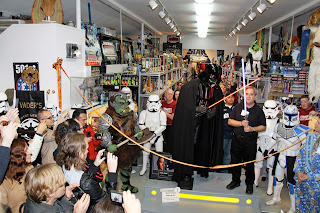 Last week Mr. Sansweet launched an appeal to Star Wars fans who may know the whereabouts of a thief who stole hundreds of valuable Star Wars items, some appraised for over $200,000. 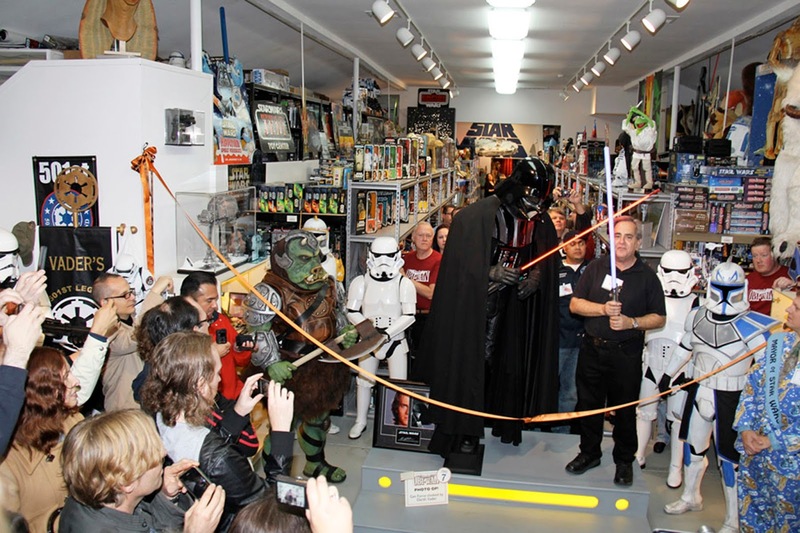 The Star Wars super-collector became Director of Content Management and head of Fan Relations at Lucasfilm Ltd. in 1996 and retired in April 2011. In his 15 year stint Mr. Sansweet appeared as co-host on more than 50 hours of Star Wars collectibles on QVC; co-authored 17 Star Wars books. He also helped build the editorial team that created StarWars.com, serving as a columnist for official Star Wars magazines and blogs on the site. The 72-year-old also played an integral role in the launching of Star Wars celebrations, working as stage host and panelist at the official Star Wars fan convention. To cap it all off, the American-born is a proud member of the 501st legion, a worldwide grassroots fan costuming and service organisation.